The British had difficulties providing all the men who needed them with a good pair of binoculars in World War One. 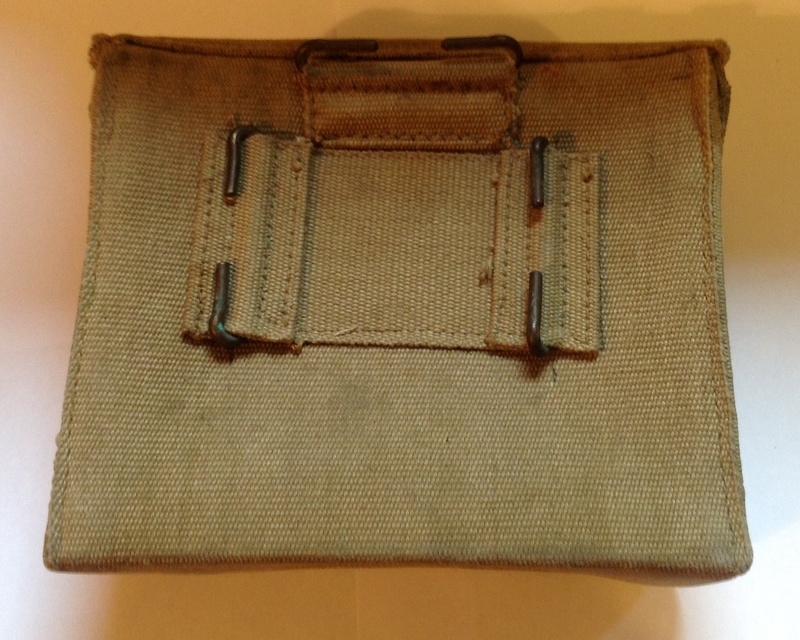 As we discussed here, they turned to French binocular manufacturers to make up the short fall and a fairly standard pattern was adopted, but produced by a range of different French optics companies. 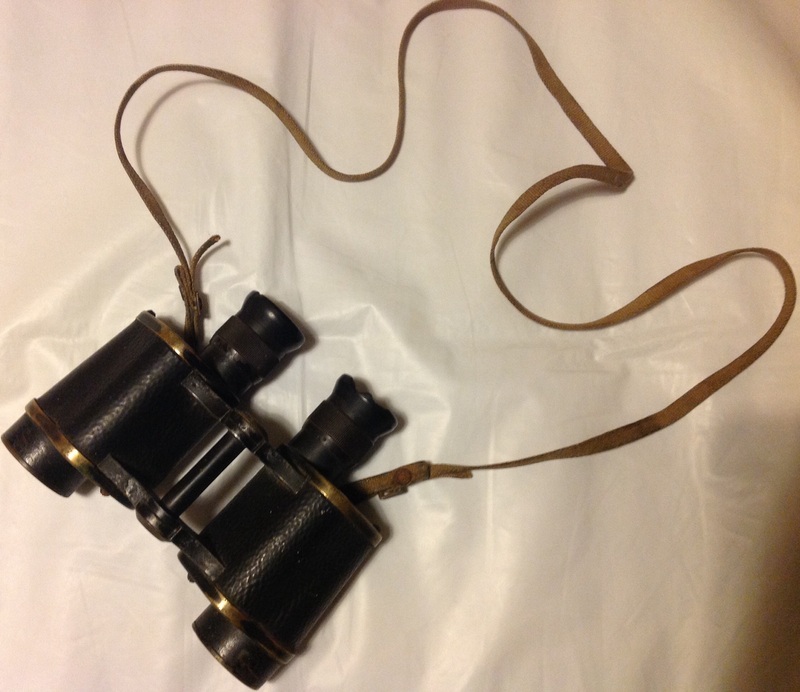 Tonight we are looking at another pair of these binoculars, of almost identical design but from a different company: What makes this pair nice however is that they come with the original leather carrying case: The case is made of high quality leather, with a hinged lid that opens to allow the binoculars to be placed inside: A strap and brass buckle on the front secures the top flap in place and prevents the binoculars from slipping out: On the rear of the case are a pair of belt loops, allowing them to be worn on a Sam Browne belt rather than by the shoulder strap, which is removable: The front of the case has a /|\ mark stamped into the leather: Whilst the top of the case is marked ‘W Swart’ and dated 1917: The binoculars themselves are a standard pair of Mk Vs with Galilean lenses of a similar design to that used in the British Army since the beginning of the century. 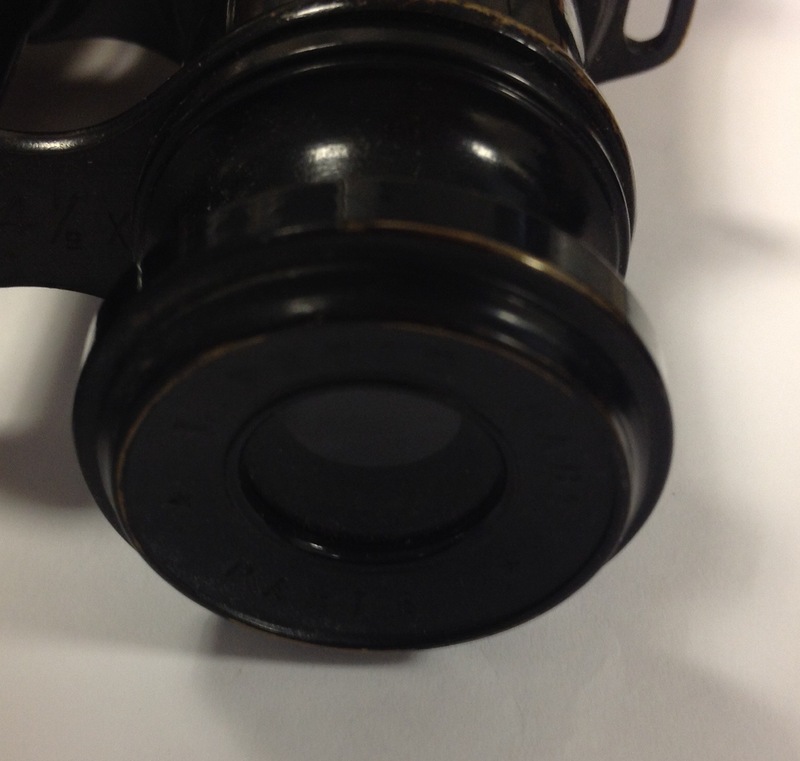 Each lens has a brass glare deflector that can be pulled forward: The eyepiece barrels are marked with a /|\ stamp and a serial number: Each eyepiece is marked ‘Lemaire Fabt Paris’: Lemaire were a French company that had been founded in 1846 by a monsieur Armand Lemaire to produce binoculars. Monsieur Lemaire died in 1885 and his son in law took over the firm. They diversified into making cars and electrical equipment but continued making binoculars until the firm folded in 1955. 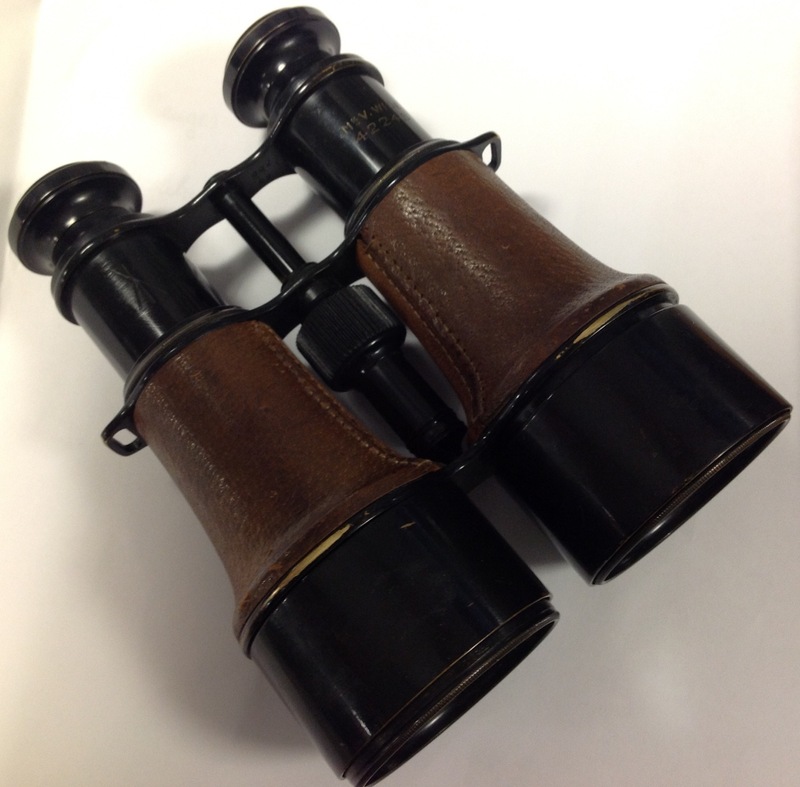 I bought this pair of binoculars for £10 a couple of weeks ago and it is amazing to think that something as attractive and over a hundred years old is so inexpensive. 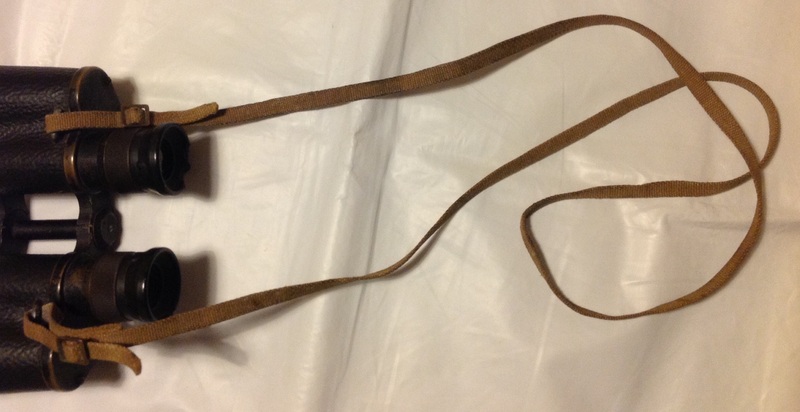 These binoculars were produced in large numbers and it is true that they are not as good as prismatic examples, but this still seems a very small amount for something of this age. 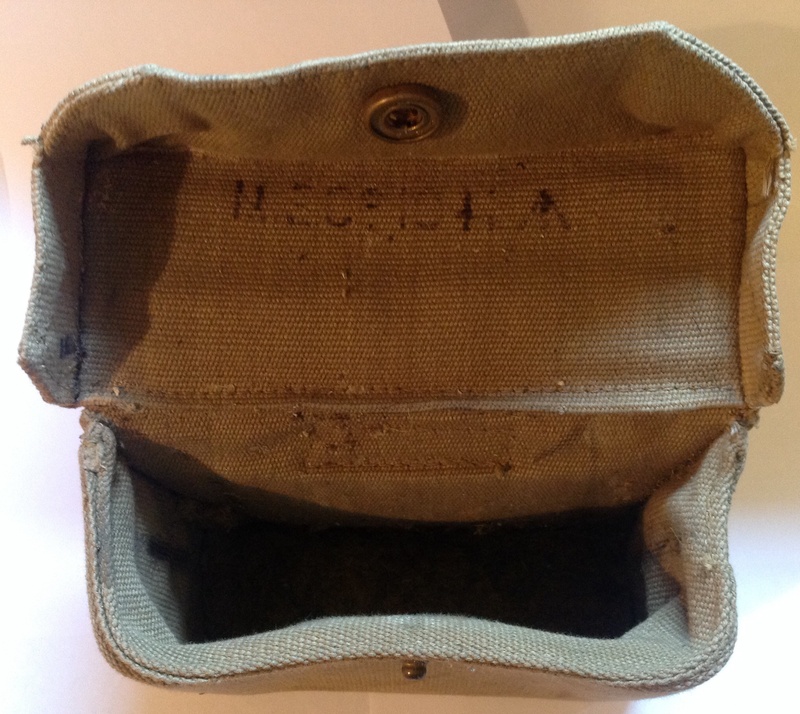 This entry was posted in Binoculars, British Army, equipment, WW1 on October 6, 2018 by hatchfive. During war, the numbers of firms producing scientific instruments has increased to about one hundred and sixty but very few of them are well equipped. The Mathematical Instruments Office has been enlarged and converted into an Ordnance factory and the work of manufacturing simple stores like drawing boards, stands, instruments, sun compasses etc., has been taken away from it and given to the private firms. This left the M.I.O. free to concentrate on the production of the more important stores such as binoculars, prismatic compasses, sighting telescopes etc. The industry is mainly concentrated in Calcutta with 95 of the total 160 firms located there. Lahore comes next with 21 firms. 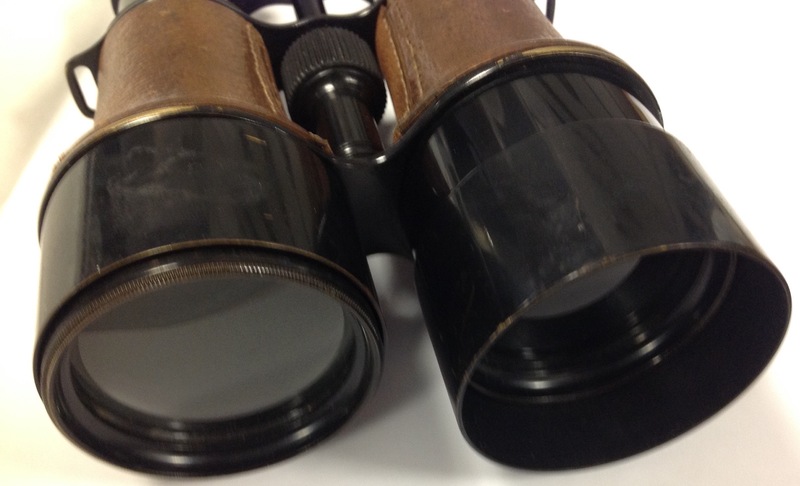 My thanks go to Michael Skriletz for kindly sending these binoculars across the Atlantic for me. 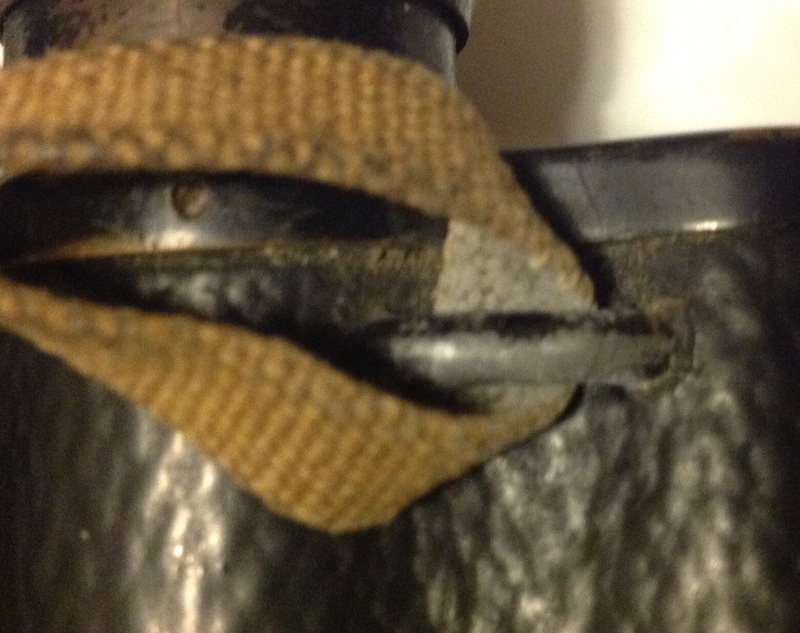 This entry was posted in Binoculars, equipment, India, WW2 on August 17, 2017 by hatchfive. 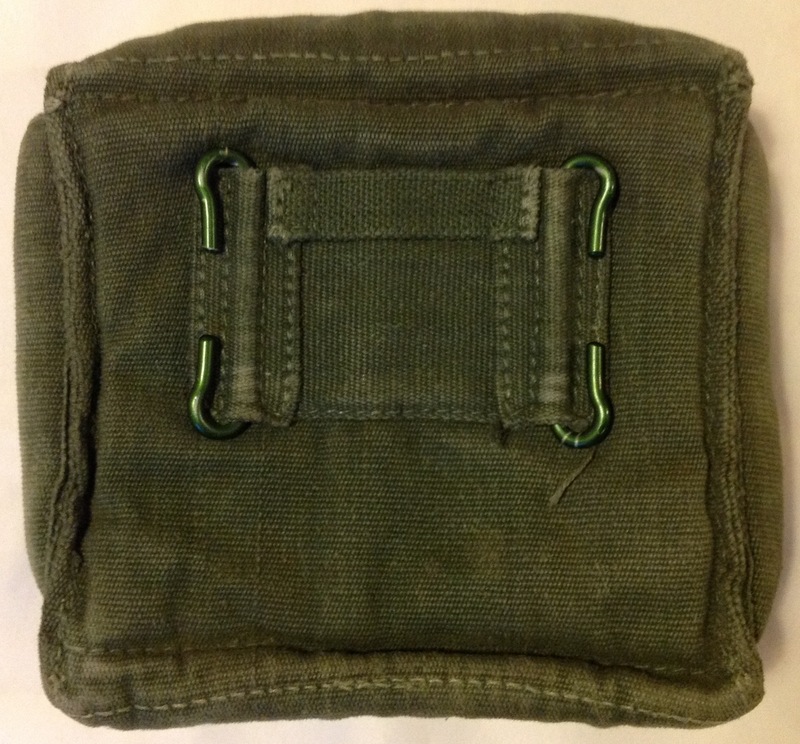 When the 1958 pattern webbing set was introduced officer’s equipment such as compass pouches and binocular cases were not included in the initial design- earlier 37 pattern or 44 pattern examples soldiered on and were attached as best they could to the new webbing set. 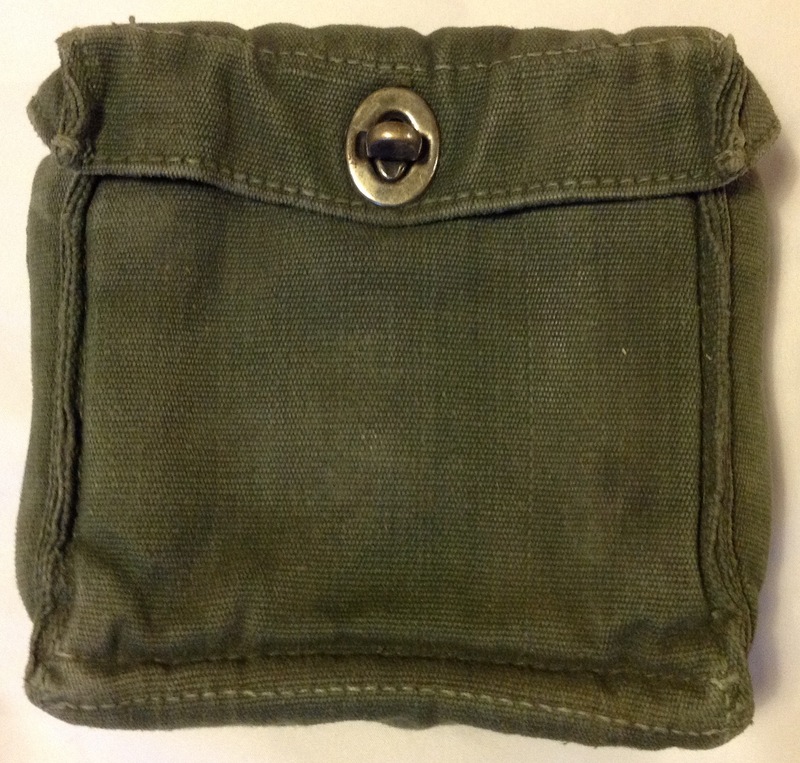 This was clearly unsustainable as they did not fit properly and were always in danger of falling off- therefore a purpose designed binoculars case was introduced to match the rest of the 1958 pattern set: The case is made of green, pre-shrunk cotton and is far more angular than its predecessors, a box flap is provided to protect the top of the pouch: This is secured by a brass turn button: On the rear C-hooks allow the case to be secured to the waistbelt, whilst a webbing loop above allows the yoke to be passed through to prevent the case from falling forward: This case is marked under the flap, but as is often the case with the 58 pattern equipment this is hard to read due to the dark colour of the underlying webbing: I believe this example dates form 1968, but it is hard to read. 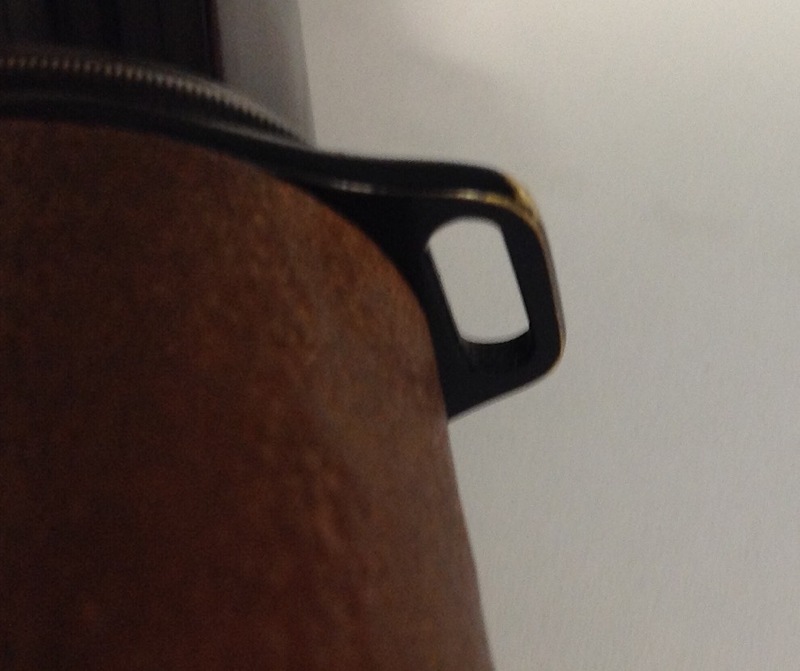 This case was made by MW&S, Martin Wright & Sons Ltd. 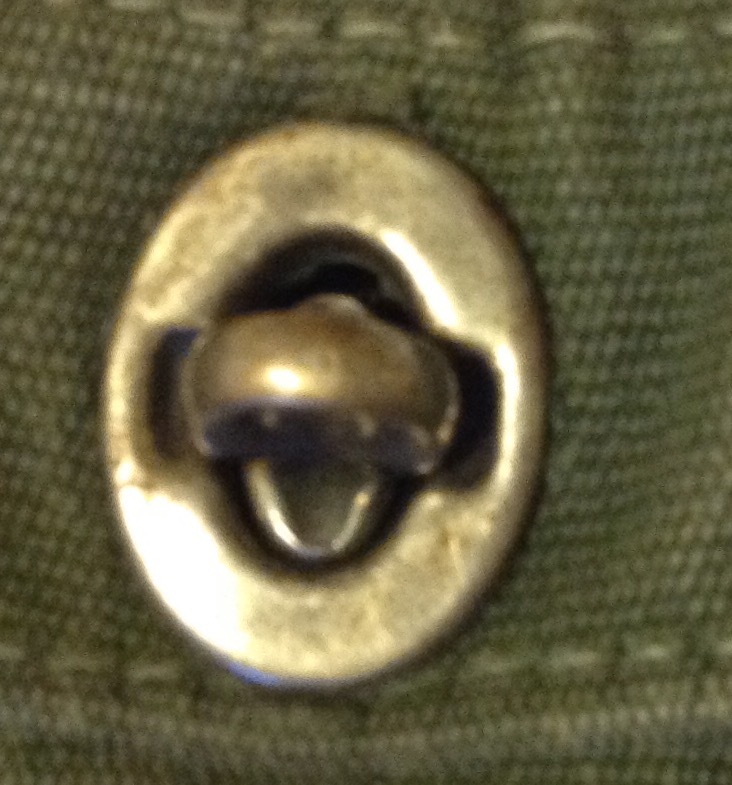 The stores number can be seen below which is a pre-NATO code. 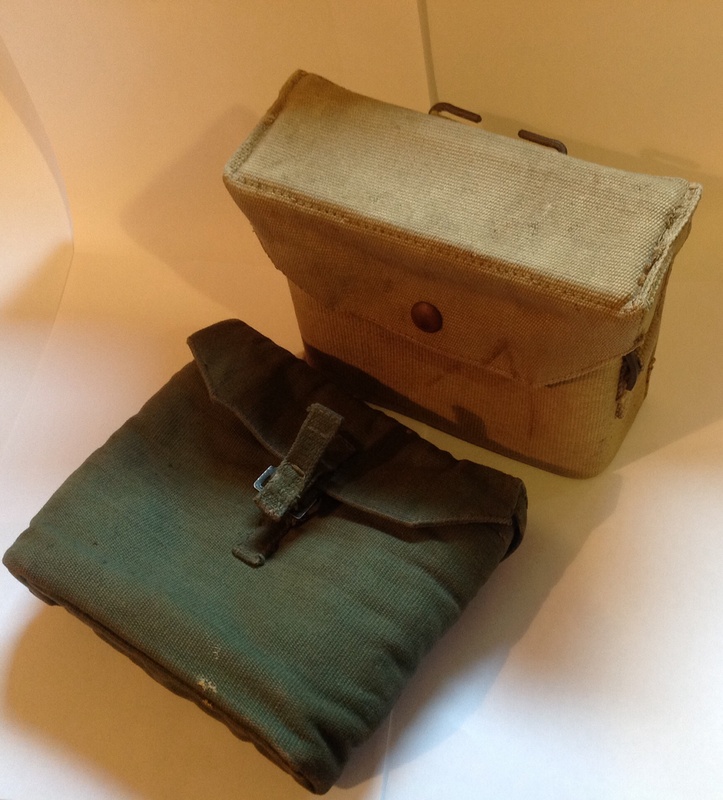 The case would have held the small binoculars No 2 in use since the Great War, the case being well padded to help protect the optics. 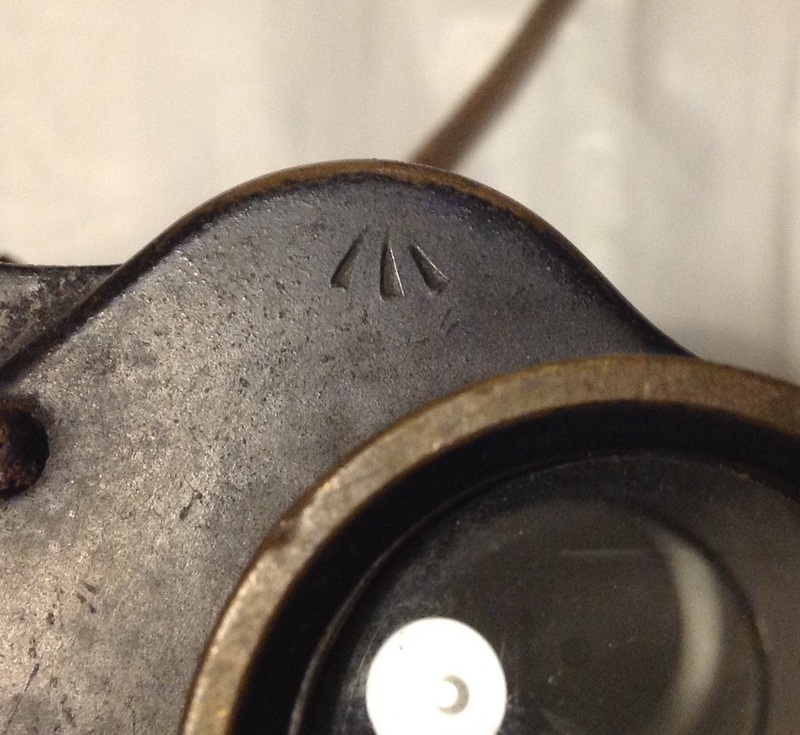 It must be said that British binoculars were not highly regarded by those using them, and often superior West German brands were privately purchased that may or may not have fitted in the 58 pattern cases. 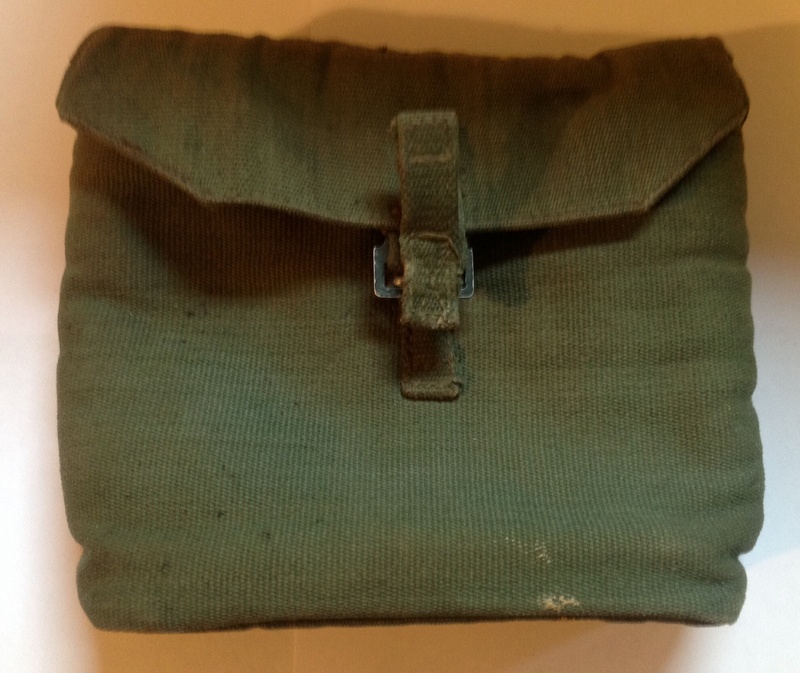 This entry was posted in 58-Webbing, Binoculars, British Army, Post WW2 on May 7, 2016 by hatchfive. At the outbreak of the Great War the British Army expanded very rapidly, too rapidly in fact for the supply of equipment and uniforms it needed to keep pace. Expedients were quickly found for much of this, with alternative designs, commercial equipment and foreign orders taking up the strain. 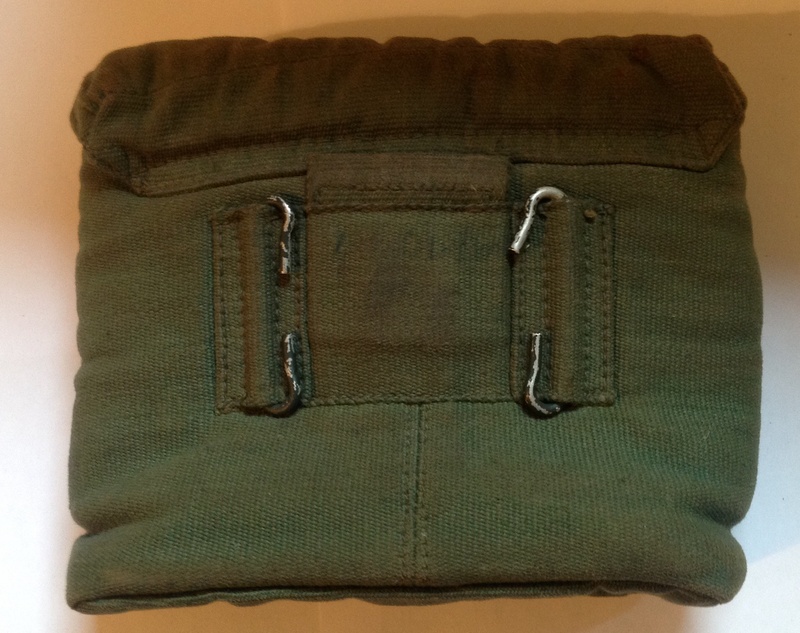 One area that the Army found itself deficient in was good quality optics for its officers. 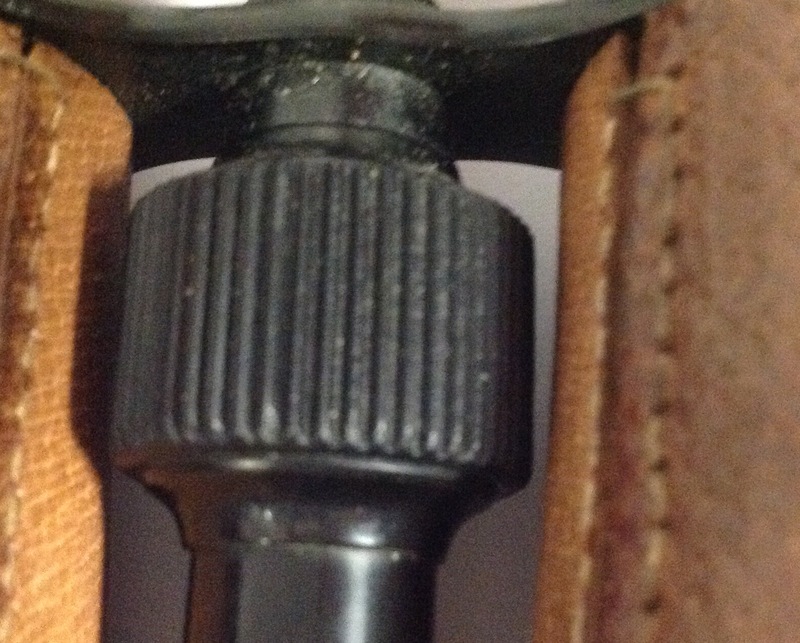 The best lenses and binoculars were made in Germany, which obviously was not an option for supply. 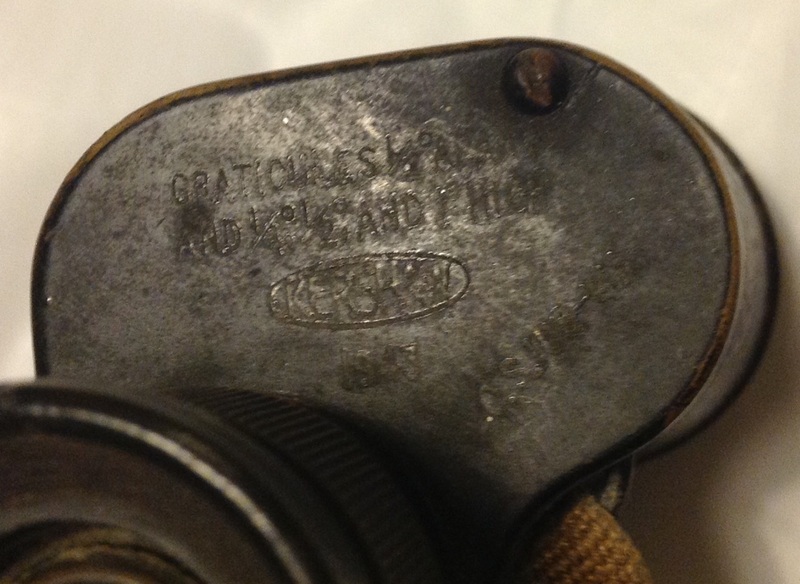 The British optics industry was relatively small so the army turned to French manufacturers and tonight we are looking at one of the most common pairs of French made binoculars for the British Army: These binoculars are made of brass, with a leather grip around the main body: Two mountings are fitted for a neck strap: The focal length is adjusted by a central ridged knob, which moves the lenses back and forth to adjust them for different people’s eyes: An extending brass sleeve over the ends of the lenses helps reduce glare and reflections: That these binoculars are French is clearly seen from the eye pieces which have ‘l’Petit Fabri Paris’ embossed upon them: Their use by the British Army is revealed by a /|\ mark, here cancelled by a second arrow facing it to make a >|< shape indicating they had been sold out of service: The opposite barrel has a stamping indicating that these are a Mk V Wide pair of binoculars: These French binoculars are known as Galileans; their lenses are weak in magnification compared to prismatic lenses, but they are good at gathering light and work well for people with eye defects. 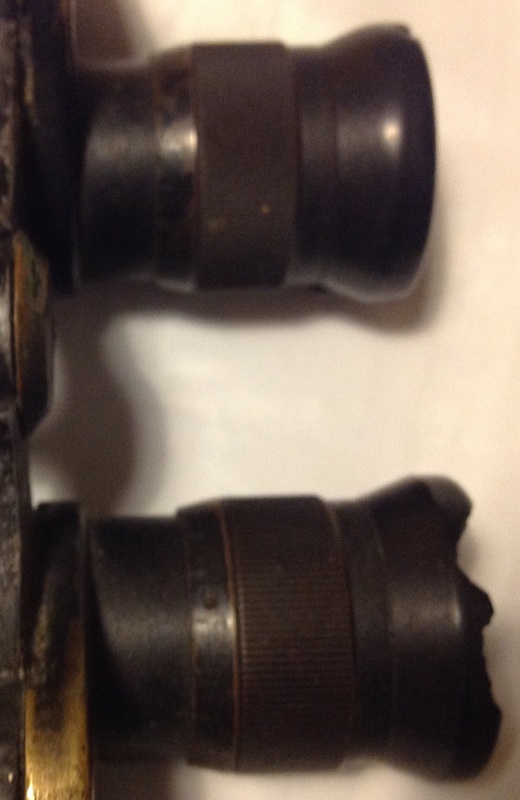 The optics on this pair are exceptionally clear for a hundred year old set of binoculars and although the magnification is not great (x5 supposedly) they are perfectly functional. 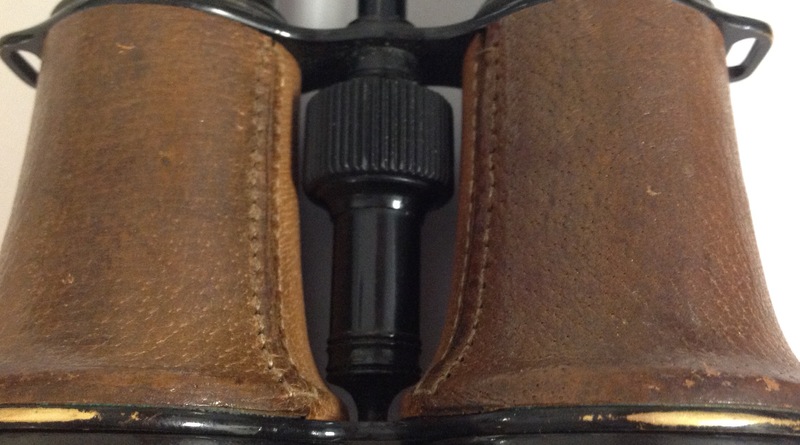 These binoculars seem pretty common and not overly expensive, but they are an attractive object with an interesting story to tell. 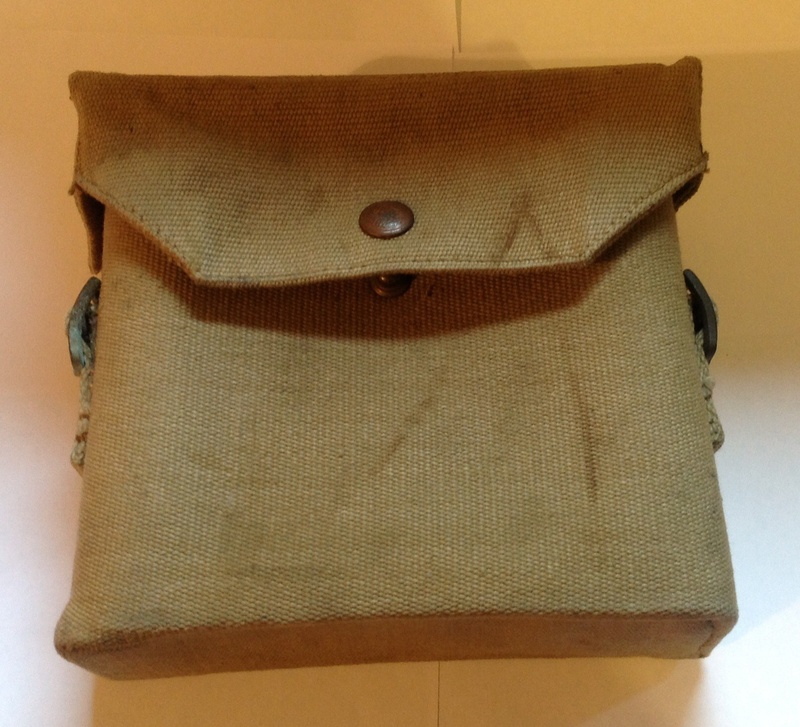 This entry was posted in Binoculars, British Army, WW1 on February 7, 2016 by hatchfive. 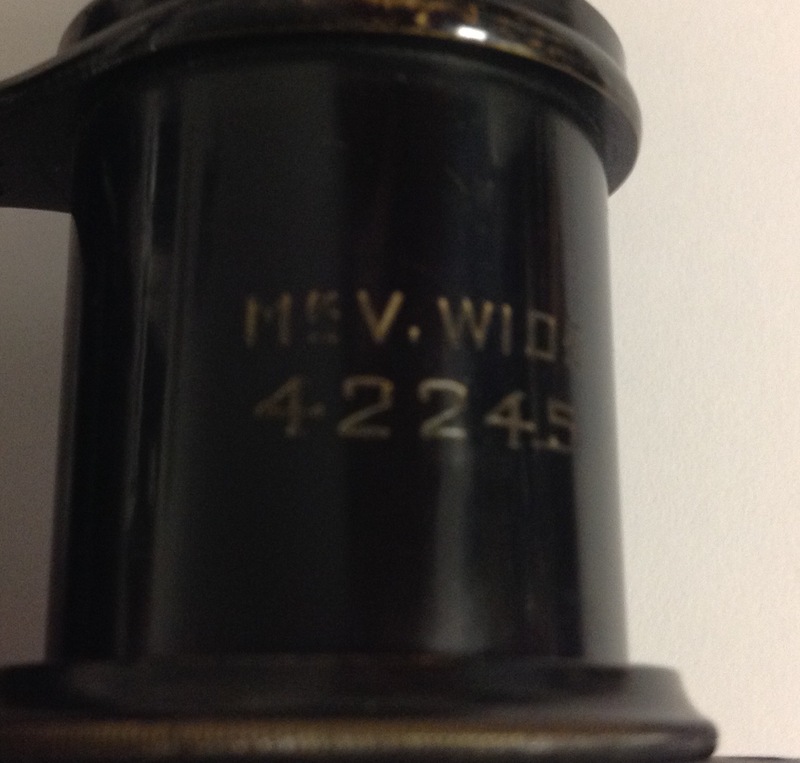 Tonight we turn our attention to the most common form of binoculars used by the British Army in WW2. 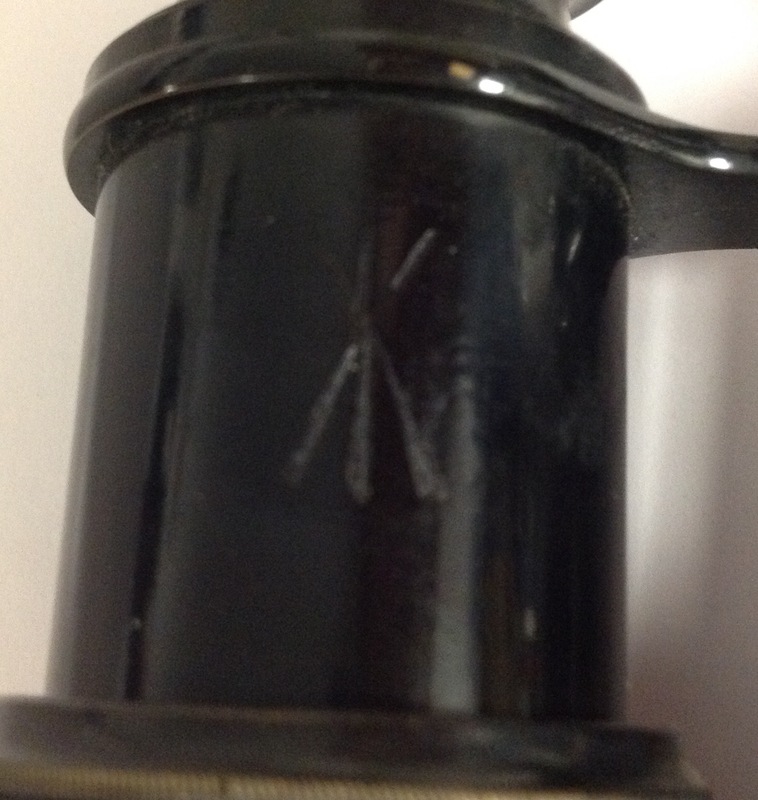 The Number 2 Prismatic 6×30 binoculars were the most widely issued design of binocular, being made in a number of marks by different manufacturers. 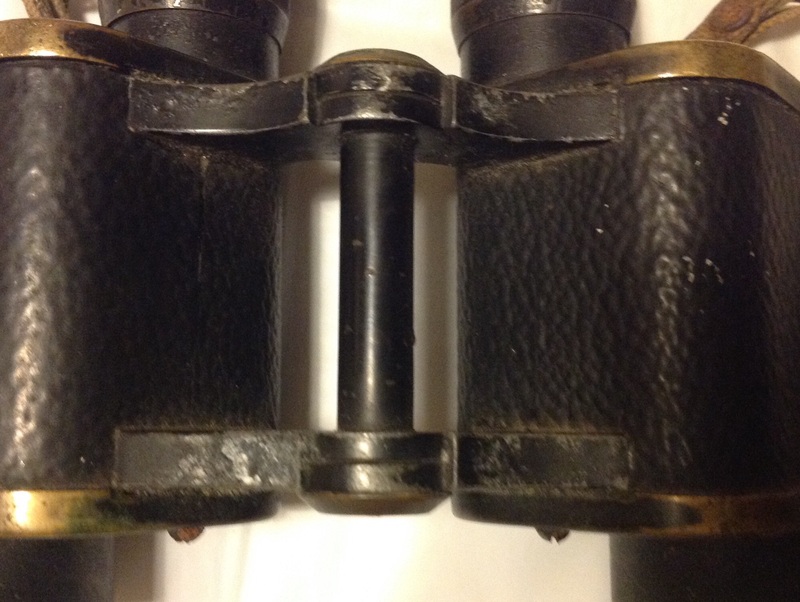 This pair is a MkII set: The main body of the binoculars is made of black painted brass, joined by a hinge allowing a degree of adjustment: Focusing is done by screwing the eyepieces back and forth to change the focal length to match he viewer’s eyes: A /|\ mark on the front of the body indicates they are military property: This pair are marked as having been made by Kershaw’s of Leeds in 1943: These are a MkII pair which means they have graticules marked on the lenses. 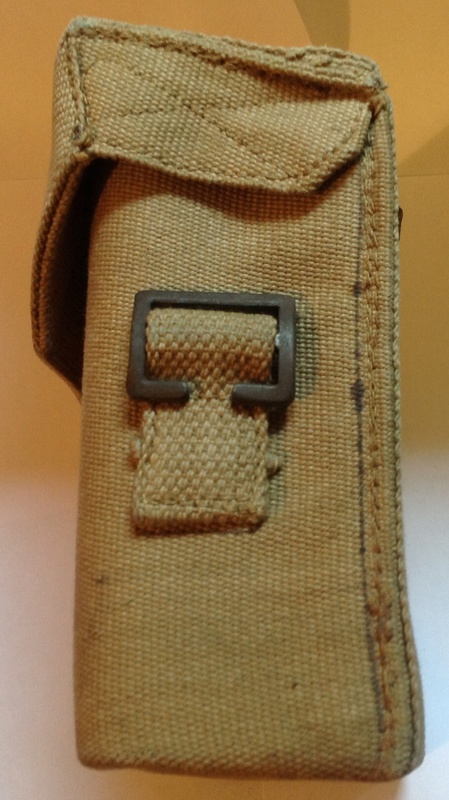 The binoculars have small metal loops on the back to fasten a neck strap through: The strap is made of 5/16″ webbing with two buckles to adjust it, the sling itself being 32″ long: These binoculars were produced in huge quantities, with virtually every officer and most NCOs bring issued a pair, matching cases were provided with both the 37 pattern and 44 pattern webbing sets to carry them in. 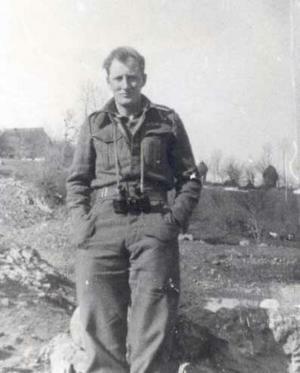 In this image of a British Intelligence officer in Yugoslavia the binoculars are clearly visible: Although some dealers do charge silly prices, I have bought a number of sets of these binoculars over the years and never spent more than £5 a pair so bargains are out there. 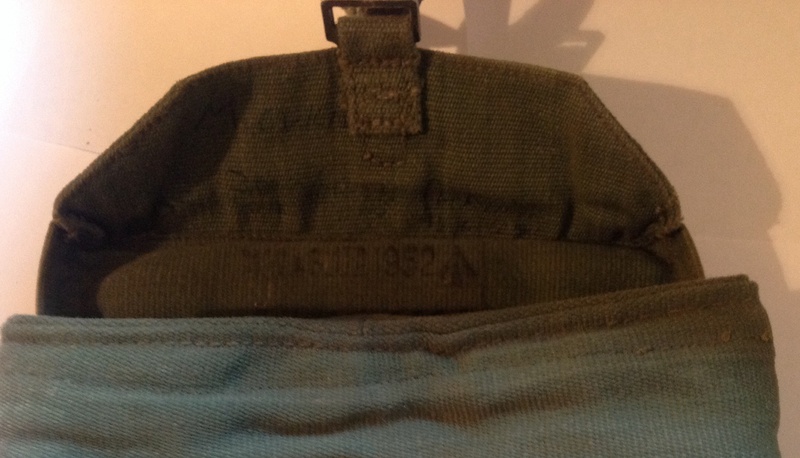 This entry was posted in Binoculars, British Army, WW2 on November 23, 2015 by hatchfive.